Some of you may know that I have a thing for items of beauty and when I spotted the website by Andrew Field with his wonderful hand made floats, I was smitten. The quality was stunning and I decided then and there that I had to have a few, even though I don’t really float fish a great deal. As my birthday was fast approaching I asked my wife if she could get me a selection as a birthday present which she dully did. I expected to get a single float but what I received surpassed my wildest imaginations ( apparently I don’t have much of an imagination) as I got not only 6 floats but also a really snazzy aluminium float tube. 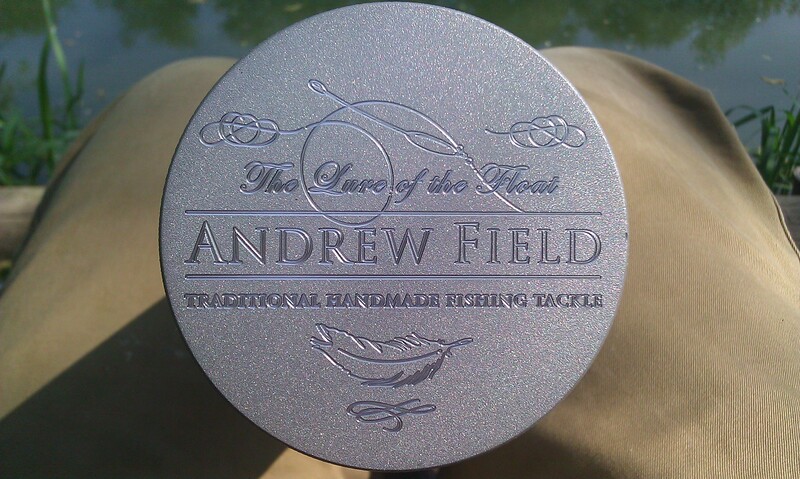 The quality of the floats is apparent just by looking at the pictures on Andrew Field’s site and I can tell you that up close they are just as good. He really has put heart and soul into them and it is almost sacrilegious to actually use them for fishing. As soon as I have some good light and a DSLR to hand I will knock up some pics of the floats that I got but they are just as they show on the site. Rich gorgeous colours, solid workman ship and a quality from a bygone age, lost on the cheap plastic kit we use so much of today. So how do they fish ? well there was only 1 set up that could be tried for these floats. A setup that has been waiting for this moment : my Bruce and Walker Mk IV and Avon Supreme centerpin, coupled with 6lb line it was a match made in heaven. I only had 3 hrs so I decided to pop down to Lizard fisheries in West Drayton as I know that their match lake has a good head of carp in it. The kit was prepped, the swim baited and a single worm ( what else) was lowered in front of a feeding carp in my swim. The take was gentle with the float there one minute and just under the water the next. The fight was, by comparison, brutal with me cursing the lack of a clutch several times. 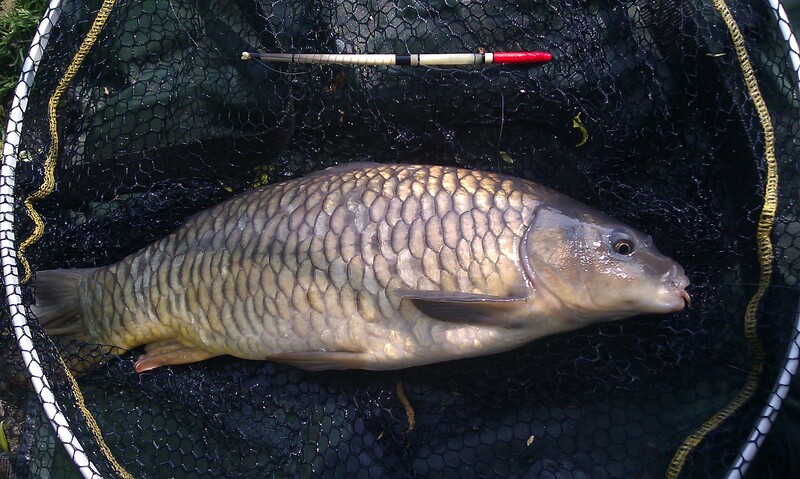 Eventually the fish was landed, a small common carp of about 3lb. Not a monster by any means but a welcome fish and one that put a massive smile on my face.